Do you see repeating number sequences several times during the day? They are angel numbers and you can see them everywhere. 1:31 on your watch, 131$ payment for shopping, duration of your phone call, licence plate on the car and so on. Possibilities to see angel numbers in your life are endless. If you keep your eyes open, you will notice them. They repeat daily, sometimes you can see the same number even for weeks! It can mean a lot and you can use these messages for your advantage. On this page you will find true meaning to each one of them. These messages are from your guardian angel or Higher Powers standing by your side to guide you through specific phase of life. These powers from above can change very often or you can have the same one your entire life. It depends on your thoughts, desires and wishes. Higher Powers tend to have specific sphere of activity. You like sports and you devote all of your daily time to it? Sport related powers will find you and help you archieve your goals. More skilfull and powerfull you become, the closer relation between you and them. Workers will attract other powers and scientists completely different ones. Later in your life, if you decide to focus all of your time and energy to love instead. Sport, work or science specialists will go help elsewhere and you will attract Higher Powers of love instead. It’s that simple. Number 818 is a blend of the energies and attributes of the numbers 8 and 1, with the number 8 appearing twice, magnifying its influences. Number 8 brings its vibrations of self-confidence and personal authority, dependability and consistency, giving and receiving, manifesting abundance and prosperity, compassion and Karma – the Spiritual Law of Cause and Effect. Number 1 adds its attributes of happiness, attainment and fulfillment, creation, new beginnings, inspiration, insight and initiative. 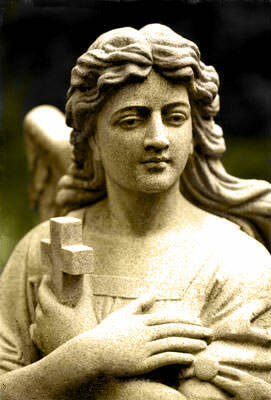 The Angel Number 818 is telling you that you are nearing the end of a significant and important phase of your life. If there is some part of your life that is not flowing as you’d like, know that it will soon be healed and/or replaced with better, more suited situations and circumstances. Angel Number 818 suggests that you to think only thoughts of abundance and prosperity. Your thoughts are manifesting very quickly at the moment and you want them to be positive rather than negative. The repeating number 818 may also be suggesting that you look to new and/or different ways to bring about and achieve your goals and aspirations. Trust that if you listen to your inner-wisdom and the guidance from the angels you are bound to succeed on many levels. I see my angel numbers throughout the day….sometimes, several times a day. I have just recently turned my life over to God. I’ve been lead to do this and I think it has something to do with these numbers. By the way, it also represents my birthdate. 2 4 5 pop up alot and depending on my thoughts. With my sis it is 333 with my daddy who has passed it is 111. I used to see 911 a lot!!! I was so concerned and worried till someone told me angels are talking to me! Now, I don’t see them as much!!! What could that mean?! What about the numbers 1 and 9…?!!! Could you let me know?! I offen see 143 ..since last 2 months..with other number like 1543,1443..but 143 always there ..m thinking what my angels want to address me…can you help me to find out my answer? Same here,am from India,nd i always see the numbers 1234 in a row on the clock almost all the time,i dont understannd whats going on,its jst been happening since 2 years. achieve our goals and aspirations. realm is very strong at this time. life purpose and soul mission . good work you have been doing. need to do is ask. I keep seeing the numbers 1111 or 111 its been happening for 7months. What does it mean? I,m always seeing 1122 and this is also my birthday why what’s up with this? That is the master frequency. side and want the very best for you. that you see around you. license plate or road sign. a thank you, or a wish or a prayer. U R A virgo ARENT YOU. earth IS A RUTHLESS EXISTENCE….. ISNT IT. Lol yes it is. but I’m a Cancer yet I feel that “phlegmatic” hardly fits in with the Crab. I do relate to all that’s given to Virgo but I’m 100% Cancer. Мне на протяжении полугода везде со мной путешествует число 26 ( это дата моего рождения)! Всегда когда вижу её приветствую своё Божественное. Как по вашему это? И ещё как можно расшифровать число 157 ? Please Father and all helpful Angels, let the new year 2015 be peaceful and beautiful. Please let all the good-hearted people reach all of their goals and wishes. Thank you! I keep seeing the number 1111 and before that I was seeing hawks everyday. What does this mean? If you could just provide some info on these, I would really appreciate it! These angel number meaning interpretations are very useful and the short form condensed format, compared to other sites, gets the punch line out in short order quickly…. 12:34 and 11:11 on the clock. What does this mean? 454, 626, 828, 838, 848, 636, 747, 818, 828, 212. It happens to me all the time. What do they mean???? Me too!!! For many days now maybe even over the past week or two. I kept looking online but found nothing. They are mirrored so I’ve seen 785587 and many others usually 3 or 5 numbers but sometimes 4,6,and 7. Not more than 7 though. If anyone knows I’d like to hear thoughts. I thought it meant they are mirrored like twins. Like however I see myself is how I will become to be known. I am always seeing 1:11 or 11:11. My husband and my mom see this as well. Just before my grandma died she told me that everytime I saw that number on the clock she would be thinking about me and watching over me. She always came across the sequence of 111 and 1111 during her lifetime. Can you explain to me any other importance on these numbers. This is a daily occurrence for me, sometimes multiple times during the day. I was born 21/12, I see 01 02 03, 1111, 1229, 33, 313, 13, 414, 141, 161, 0123, 2112, 1221, 9, 7, 63 and it goes on and on and on…Not complaining though I like it. It started on license plate numbers, the last 3 letters or numbers (in the UK). I also keep seeing repeating numbers. Mostly of 111 or 1111 or sometimes lately it also is 404, 522, or 444, also seeing 1212, either when I look at clock on computer, or when I’m rolling over in bed, or getting up in the night for bathroom. Also 333. I have been trying to manifest an organic farm and vineyard now for a few years, but haven’t been able to manifest the money to buy the property. Trying to find out if the Lord and angels are going to help?? ?